A swing wall lamp with a cool and industrial look, Ogilvy is perfect for any living space. And accented with antique brass details, you’ll love its vintage-inspired look. You can swivel Ogilvy’s 2 shades, swing its arms, and rotate it from the base. So you can direct that soft glow wherever the room needs it. Ogilvy’s shades cast a wide pool of light for an atmospheric glow – it’s perfect for your reading corner. 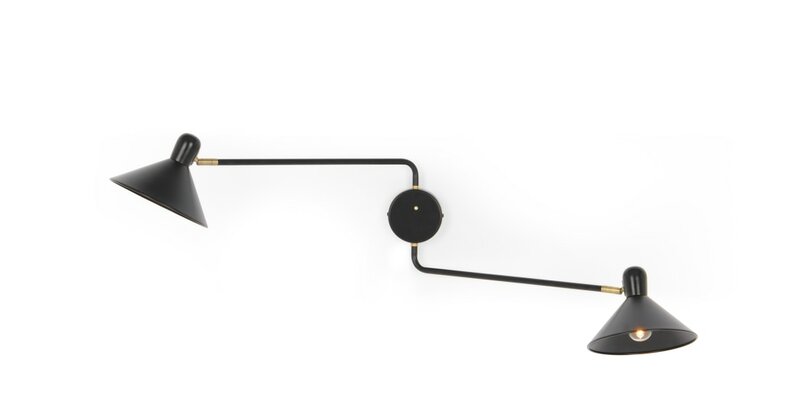 While its matt powder coated black finish completes this lamp’s sophisticated design.